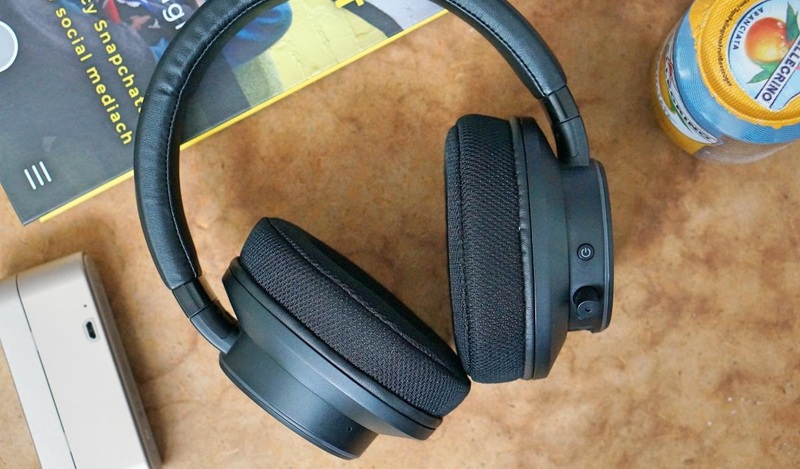 The new Creative headphones give a great, spatial sound with high dynamics. Thanks to the connected application, they analyze the shape of the ear to personalize the sound profile. The use of the new Creative headphones starts unusually because of the camera application being turned on. Singaporean producer has released an application that aims to analyze the shape of our ears and width of the face to suit the sound. For this purpose, we scan (ie, we take pictures), and the application uses them to build a profile that modifies the scene, color or temperature of the sound generated by the headphones. After this operation on the fly, we can switch between the default settings and the personal profile. In practice, I never wanted to give up on it - the sound becomes definitely more vivid and gains space - this is the main promise of headphones. Screenshots from the application showing the scanning process and saved profiles. Creative set himself the task of creating the illusion that the sound did not come from inside the headphones, but came to us - as in real life - from various, remote sources. The goal was achieved. It is not that the headphones disappear from our heads, but they give an impression as if the sound surrounded us. By doing this, changing to ordinary headphones after several sessions with SXFI AIR can be painful. 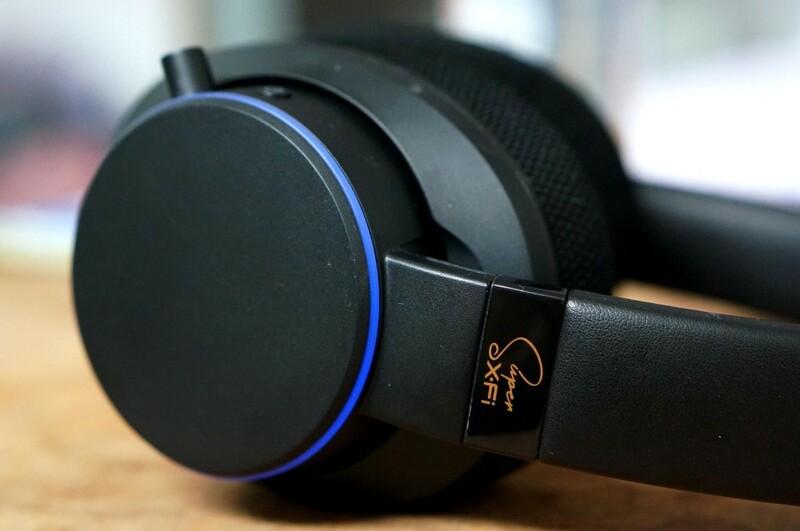 The headphones perfectly transmit high tones and give a subtle vocal. The bass is also very good, although I would personally like it to be even more emphasized. However, it must be remembered that each user will have a slightly different experience, because the algorithm will adapt the sound differently to its anatomy. In the application, we can store up to 10 profiles in case one of the household members wants to borrow them. This is an average result (headphones of this type achieve up to 40 hours of battery life), but in everyday use this is not a problem. More problems can be caused by the lack of splashing resistance. I would not be afraid to wear headphones at the drizzle, because the ports are placed from the bottom of the shell, but in the rain the water could get inside. The shells themselves are made of a mesh fabric that covers removable, foam pads. The listening comfort is a plus - headphones do not tire after a few hours of marathon. This is not a level known for the convenience of Bose QC, but it is not bad. On the plus side, you can also save the fact that they do not make noise outside, so we can easily use them in PKP silence trains. There is no way to extinguish the sounds from the outside. The whole structure is relatively large for wireless headphones. Earmuffs do not have the option of bending, which can be an obstacle if we want to throw them into the backpack. In addition, because of the mesh structure, the shells attract the stalks, but cleaning them should not cause any problems. The earmuffs themselves are very easy to maintain, they do not attract fingerprints. I do not have the slightest objections to the quality of the workmanship - there is plastic outside, which, however, makes a very solid impression. The left handset acts as a control panel. Its tactile surface, which allows you to switch between tracks or control the volume, works perfectly. It also has a USB C port for charging, a headphone jack and a microSD card port. Thanks to the latter, headphones work well as a standalone music player, although they do not support the folder structure. After inserting the card into the correct port and switching to the SD mode, we can control the music playback - pause (double tap), volume (vertical shift) and switching between tracks (horizontal scrolling). Unfortunately, the handsets do not support aptX, aptX HD or LDAC codecs, but only SBC with Bluetooth 4.2 connectivity. It's a pity, because aptX would provide slightly better sound quality and lower latencies, which are now noticeable in dynamic scenes. They will work when playing or watching a movie. Their surround sound technology means that we are always in the middle of the action, and the personalized sound brings every melody to life. Headphones can be purchased for PLN 699. However, the distributor has prepared a promotion for readers of Spider's Web. Until 15 April you can count on a 20% discount after entering the SUPERXFI code . cooperate with PS4 and Nintendo Switch. it is a shame that there is no soundproofing. The Super X-Fi converter can also be purchased separately. 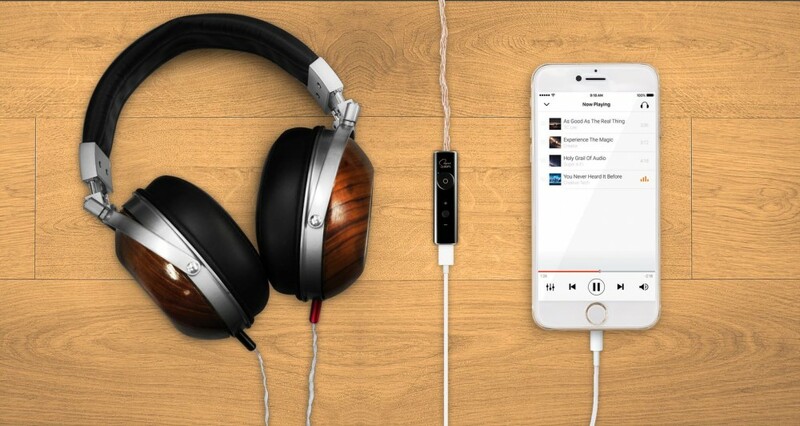 On the one hand, we connect it to a computer or smartphone (via USB), and on the other, via a minijack output to older headphones. This is to ensure a more stereo experience, because the application tunes the sound in the shape of our ears - just like in the reviewed headphones. Price of the transmitter? PLN 659 Quite expensive, but Super X-Fi can hit the tastes of people who do not want to change their old headphones to a newer model. They will then have to remember an additional adapter .